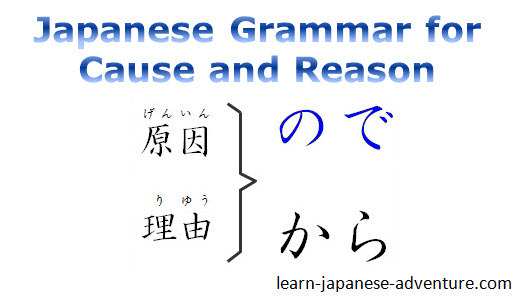 In this lesson, I will introduce another Japanese grammar for cause and reason - ので (node). It is similar to the other grammar から (kara) and both of them can be interchangeable in many occasions. However, they are not exactly the same. There are some differences between these two grammars that you have to take note. In some situations it's better to use one over the other. In the Learn Japanese FAQ Page, I have answered a question on how to use kara in Japanese for reason. Like から (kara), ので (node) indicates cause or reason. While から (kara) subjectively presents a cause or a reason, ので (node) highlights a cause-and-effect relationship as a natural course of events. As the use of ので (node) softens the view of the speaker and sounds more polite, it's often used when you are gently expressing a reason, when asking for permission or when making an excuse. 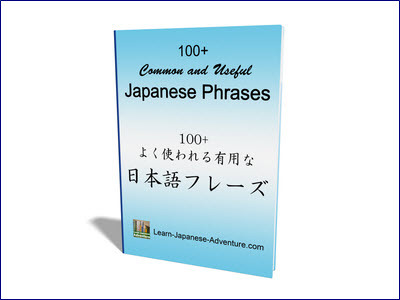 The sentence patterns are quite similar to から (kara) except that for な-adj and Noun sentences, you need to replace だ (da) with な (na). Let's use some examples to show when it's good to use ので (node) and when it's better to use から (kara) in a sentence. Meaning: Please open the window since it's hot. In the above example, since you are making a request, ので (node) is the better choice. 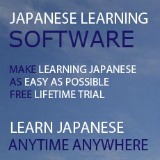 However, grammatically there is nothing wrong if you use から (kara). Only that it's best to use ので (node) in the example. Meaning: The person may become a model since she is very pretty. In the above example, から (kara) is the better choice because you are just saying what you are thinking and making a guess. There is no need to be polite in the the sentence. Meaning: The weather was good yesterday, therefore I went for a walk at the park. Again, in this example, you are talking about what you did yesterday. There is no need to be polite and hence から (kara) is the better choice. Meaning: I was late for the lesson since the train was suspended. In this case, it's better to use ので (node) because you are explaining to your teacher why you were late for the lesson. And you need to be polite while explaining your reason. Meaning: You cannot park the car because parking is prohibited here. This is an order sentence and it need not to be polite. Therefore から (kara) is the better choice here. Meaning: Please lend me some money as I forgot my wallet. In this example, you are borrowing money from someone so you have to be polite. ので (node) will be a better choice here. Meaning: Please don't smoke here since this is a restaurant. You are making a request for not to smoke in the restaurant, so it's best to ask politely. Therefore ので (node) is a better choice here. Meaning: Go to bed early because it's getting late. This is normally an order which parents want their children to follow. There's no need to be polite. Therefore から (kara) is the better choice here. Meaning: As we will be closing on this Friday, please take note. 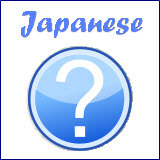 FAQ Page: How to use から (kara) in Japanese for reason.